Just spent the most fabulous half hour talking with Debra Coffey from Coffey Break Farms in Dunnellon, Florida! 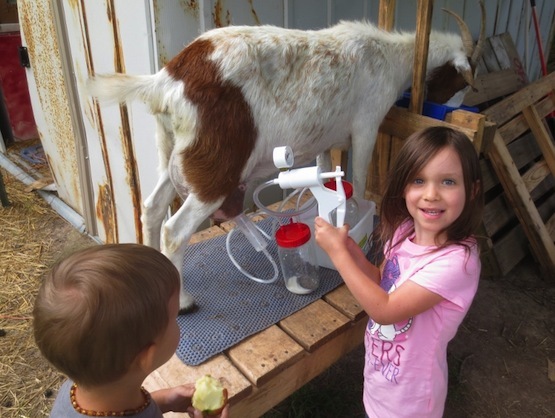 Debra and her husband use our Henry Milker 2 to milk their goats and provide goat milk and cheese to local co-ops and farmer's markets. She shared a pretty simple, less mess way of making their famous Chevre Goat Cheese so thought I'd share it with you. Most of the time the Henry House has at least half a dozen mason jars and pitchers with cheese cloth containing delicious goat cheese in the making scattered about the kitchen counters. Debra shared a way that makes clean up a bit easier by using inexpensive plastic cups she bought at the local Wal-Mart. She bought the large tumblers (about 4 for a dollar) and punched a bunch of holes in the bottom with a nail. 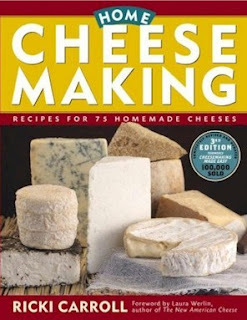 Rather than use cheese cloth, Debra just drops the ingredients right into the tumblers, puts them on a rack in the oven (don't turn it on... just use it for out of the way cheese making...melting plastic and goat cheese do NOT smell good) with a deep pan underneath to catch the whey! After about 12 hours in the cold oven, Debra removes the tumblers and turns them upside down into a bowl. 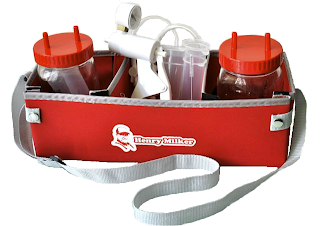 The cheese retains the pretty shape of the tumbler and you can just drop the tumblers in the dishwasher for easy clean up! She sprinkles with sea salt, covers the cheese and bowl with plastic wrap and puts in the fridge overnight to finish. In the morning, there's always a little more whey that has drained and Debra just tilts the bowl to drain the whey. If you'd like drier cheese, Debra suggests buying a plain, white, cotton pillowcase, cutting it in half and sewing the end of the cut piece shut on one end. Now you have two, large cotton containers. You can place your cheese in the pillow cases over a pitcher or other container and let it drain one more time overnight. 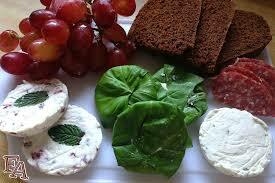 Remove your finished cheese and flavor with herbs, fruits, honey, wasabi, sesame seeds--the options are endless! 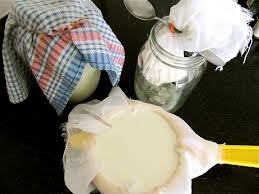 Just wash your pillow cases with a little bleach and their ready for the next batch of cheese! You can find Debra selling her beautiful cheeses at Farmer's Markets near Dunnellon, Florida or e-mail her at FinoFever@gmail.com to get details of getting some of her cheeses shipped to you! 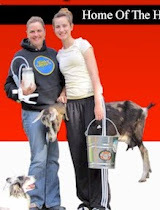 Of course, you can buy our ever popular book on how to make goat cheese on the Henry Milker Site at www.HenryMilker.com as well as our Henry Milker Goat Milker to make it easy to get the milk you need to make delicious cheese. 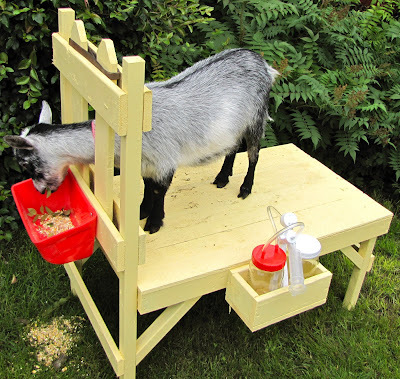 Raising Goats in the City?